Leather punch tool. 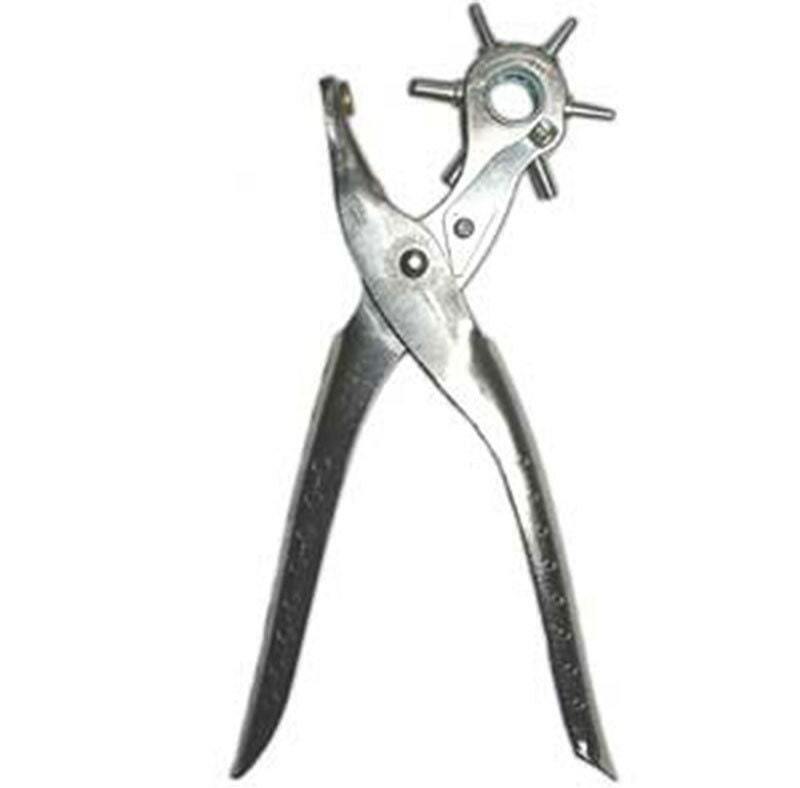 Features six revolving punches. Approx. hole punch diameters are 2.0, 2.4, 2.75, 3.2, 4.0, and 4.75mm. Tool measures 9 inches. Made in England.